Spotlight Singapore is an international exchange programme initiated by The Arts House in 2006 which serves as a cultural and economic gateway to new and emerging global markets through a holistic programme combining artistic, economic and educational activities. Objective is to create understanding, dialogue and collaborations between the arts and business communities of Singapore with their worldwide counterparts. From 2010, Spotlight Singapore will be co-organised with Asian Culture Enterprise Singapore (ACES), a subsidiary of The Old Parliament House Ltd which through research, aggregation and incubation, facilitates an understanding and presentation of Asian arts and culture to a wider audience within Asia and the rest of the world. The learning component will engage both Singapore and South Africa students to undertake business or collaborative projects in the form of a competition that will stimulate creative thinking, develop their analytical skills, and test the feasibility and practicality of their ideas across cultures. And looks towards developing a better understanding of tourism, culture and business opportunities in South Africa and also potential areas of research. to discover and experience the culture, heritage and the natural adventure of Cape Town. The theme for the competition – Sustaining Tomorrow’s Future with Creative Business Today – is to challenge students’ creativity to find a solution to sustaining tourism in winter-time for Cape Town Tourism (National Tourist Organization). The 8D and 7N trip (13 to 20 March 2011) will cost $2,800. No funding is available at the moment, but organizers are working on securing some sponsorships to help defray costs. Presentation: The proposal will be presented during Spotlight Singapore in Cape Town, to a panel from The University of Cape Town, WESGRO, and Cape Town Tourism. Prize: Reimbursement of their local accommodation for the trip and opportunity to network with graduate students and young entrepreneurs from Cape Town who are seeking for potential business ideas to develop. Spotlight Singapore also provides an opportunity for musicians and arts educators to interact through an exchange programme with the students and faculty staff from the University of Cape Town, College of Music. The collaboration will be presented on the closing night of Spotlight Singapore, to the delegates from both Singapore and Cape Town. Assoc Prof Millie Rivera, Head of Communications and New Media at the Faculty of Arts and Social Sciences talks about paying it forward and her reasons behind it. Harris (bottom in blue jacket) with his teammates in Hong Kong participating in the Model United Nations Conference where he won the best position paper award. It was a passion he went on to develop through being President of the Political Science Society in NUS and head delegate for the Singapore delegation to the 2009 Model United Nations Conference in Hong Kong (winning the Best Position Paper Award along the way). He also had a couple of internships in the Ministry of Foreign Affairs and the Ministry of Home Affairs where he received the Most Outstanding Intern Award. But Harris said that even though he was delighted to win the awards, what mattered was the opportunities he had, to develop the soft skills of leadership like honesty and proactive communication, meet fellow students from around the world, debate pertinent issues facing the world today and appreciate the different ways various government bodies work. 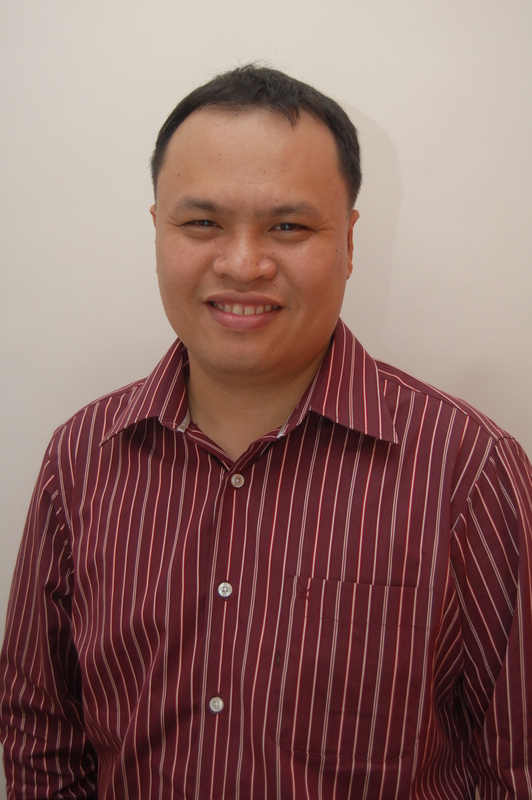 It is not surprising that the first class honours graduate is now working in the Ministry of Foreign Affiars as a Foreign Affairs Officer in the ASEAN Directorate. He is also part of the Public Service Division’s Management Associates Programme. Just before graduating in 2010, Harris took on one more role as a Commencement Class Champion for Annual Giving. This is an initiatve to raise awareness and build support for NUS students who face financial difficulties in completing their studies. He explained: “I’ve benefitted so much from NUS that it is with utmost pleasure that I can contribute in some way as a ‘Commencement Class Champion’. I’ve strongly believed that every student in the University is special and talented. Each individual should be given an opportunity to realise his or her potential in order to shine. 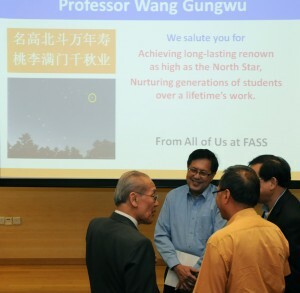 On December 10th FASS was delighted to commemorate the 80th Birthday of NUS University Professor and eminent Chinese historian Wang Gungwu at the second Inter-Asian Connections Conference. In honour of the occasion, FASS invited Harvard University Emeritus Prof Philip Kuhn (a former study mate of Professor Wang from their postgraduate studies at SOAS in the 1950s) to deliver a keynote lecture on “China and Chineseness: Civilization as Historical Storehouse”. Following kind welcome remarks from FASS Dean Prof Brenda Yeoh, Prof Kuhn revealed his continuing admiration for Prof Wang’s intricate interweaving of scholarship, statesmanship, administration and teaching over his illustrious career. Prof Kuhn’s colloquy proceeded to refer to Prof Wang’s 1992 book, ‘The Chineseness of China’ and the abiding distinctiveness of Chinese civilization as a mediator between permanence and change. It can be argued that this ‘storehouse’ of culture, including ideas such as the Analects of Confucius, have been used and misused throughout China’s history to suit the purposes of those with access to power. Kuhn then drew parallels between the historical figure of Feng Dao and the more contemporary Wang Meng. There then followed a very vibrant Q&A session focused on Confucius’ doctrine of the mean (中庸 zhōng yōng) and its multifarious interpretations. Wang Gungwu thanked Prof Kuhn and reminded all that Confucianism has come in and out of favour with different historical periods. 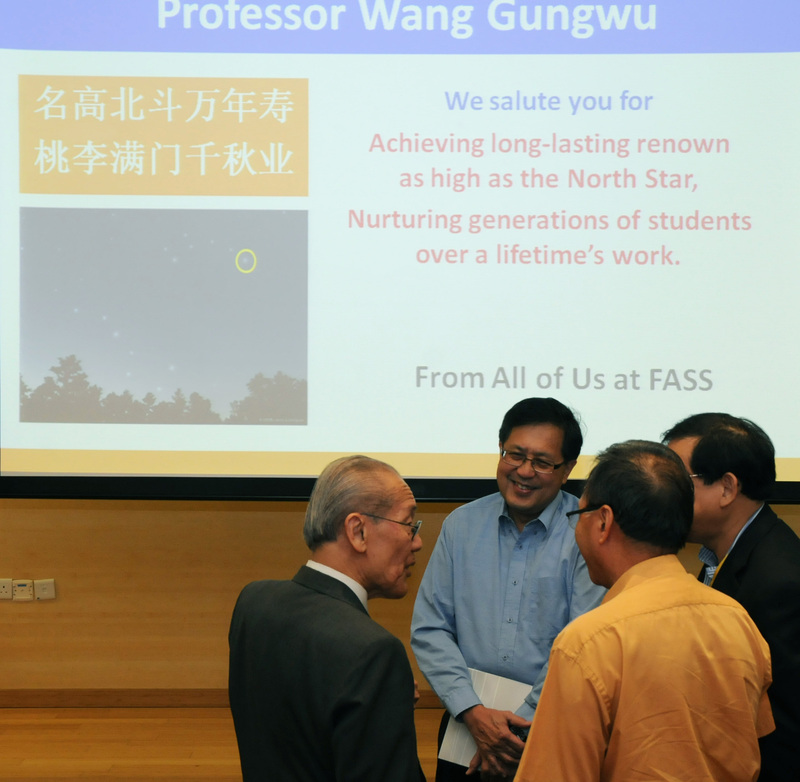 The session ended with gifts of appreciation for Prof Wang from FASS and the SSRC and a cake cutting ceremony. for final year Economics, Psychology and Social Work majors. 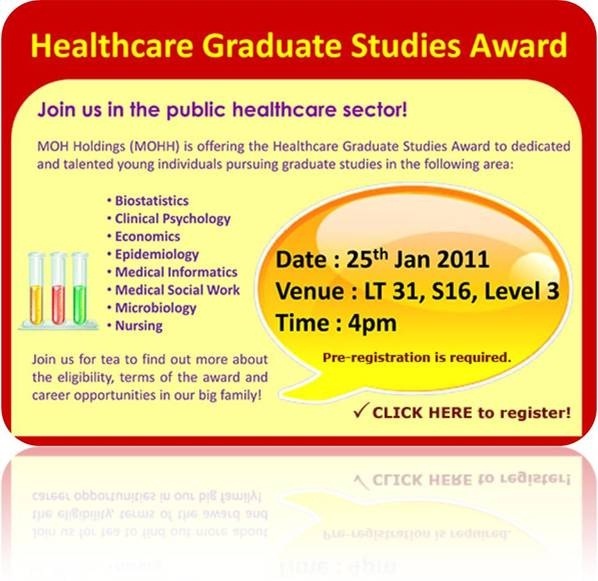 For more information on the Healthcare Graduate Studies Award, please click here. Students are invited to enroll in a writing course, WP2201C – Mars/Venus? Gender and (Mis)Communication, offered by the University Town Writing Program (UTWP). This course explores the pervasive topic of gender and communication. For example, are men and women different by nature (from “Mars” or “Venus”) or are gender roles socially constructed? How are these differences expressed in the language they use? What causes miscommunication and how can it be addressed? In this small seminar-format class, students read, analyze, discuss and respond to topical articles in a variety of genres, examining them not only for information, but especially to make explicit the way writers address their audiences, and then apply these insights to their own written responses and arguments on the topic. WP2201C is scheduled for Tues & Fri 9am-11am; Tues & Fri 11am – 1pm; and Tues & Thurs 3pm-5pm. Graduate study at FASS is priceless, simply because it does not revolve around the search for answers. This will seem a peculiar, almost contentious, statement to make – more so in a contemporary global milieu that emphasises creative responses and innovative solutions to a whole myriad of social, economic and political puzzles. Let me suggest however that an intellectual orientation merely trained to “solve problems” or “get results” often cannot help but fall into the trap of treating the conditions of the predicament as fixed, as parameters that must simply be worked with. This is where FASS, I have found, distinguishes itself most clearly. By actively cultivating a disposition that is focused on asking rigorous questions, interrogating issues and imagining possibilities, FASS undoubtedly sets its students apart. Let me draw on my recent experience to offer just a glimpse of this. For the past year, my graduate work has converged on the issue of educational inequality in Singapore. In particular, I am interested in elite schools. My main concern when I began was how elite schools entrenched unequal educational opportunity. Alternatively, how could the educational landscape in Singapore be made more equitable? Convinced that my questions were important (as most graduate students are), I was confident (again, as most graduate students are—at the beginning at least) that I would produce “groundbreaking” work in this area. Yet, I quickly found myself stumped (as most graduate students often eventually find themselves). How was I even going to begin? I decided to enroll in classes in Sociology, History and Political Science, in an attempt to frame my research in broader and possibly inter-disciplinary terms. Looking back, it is precisely these possibilities for interactions with graduate students from diverse backgrounds—not only through classes but through seminars and workshops—that have impacted my scholarly development the most; and this, in my opinion, must surely be FASS’s greatest offering. Soon, through debate and discussion with professors and peers I began to realise that tracing the historical formation of elite schools in Singapore would provide me with the crucial insights I needed to better engage my original concerns. My point here is basically that this is a line of inquiry I would never have reached on my own accord. Still, why is this relevant? Put simply, this process has taught me skills that I believe will be invaluable not only for my remaining time in graduate school but also in my future endeavors. Let me conclude by mentioning just three. First, I have come to realise that thinking critically does not just involve the ability to consider multiple perspectives. It also means learning to convincingly defend and justify the merits of the framework one decides to employ. Next, I have learnt that the ability to effectively communicate ideas is often more valuable than the ideas themselves. Frequent interaction with faculty and students of similar as well as different disciplinary backgrounds has forced me to refine my skills in this area. Finally, I am convinced that the future will be increasingly shaped by collaborative endeavors rather than individual forays to understand and explain the world. Graduate studies at FASS will certainly have provided me with a critical foundation for my participation in that future. The Deanery Connect series is an ideal platform for students like yourself to share your concerns/suggestions as to how FASS could help you perform better in an enriching and holistic way. 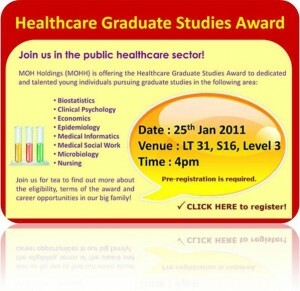 Register now for the themed sessions that will take place in January and February 2011. Limited seats. This session is a small dialogue group which will be chaired by Assoc Prof T.C. 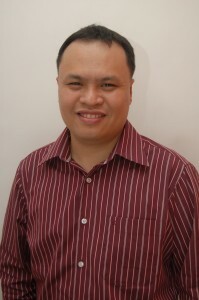 Chang, Vice Dean (External Relations and Student Life). He will be meeting up to about 20 students. The highlight of this session is to hear from you what are some of the ways you hope FASS could do for you to help enrich your life beyond academia. This session is a small dialogue group which will be chaired by Assoc Prof Sim Tick Ngee, Assistant Dean (Undergraduate Studies). He will be meeting up to about 20 students. The highlight of this session is to hear from you any feedback you have in relation to learning, teaching and the curriculum. The rise of India in the 1990s has once more called the attention of the University of the Philippines (UP) to review its program by resuscitating its focus on South Asia particularly India. To address this concern, the administration decided to develop faculty members specialising in one of the South Asian countries with India as a start. I was then encouraged to go to New Delhi on the notion that to be an expert on India, one must study in that country. On that account, I conditioned myself to set off to India. Fortunately, a convincing chat with a prolific intellectual whom I met in an international seminar-workshop in Singapore and later became my supervisor changed the entire academic trajectory. In short, I applied in the National University of Singapore (NUS) for a doctoral course on South Asian Studies beginning 2007 and fortunately was accepted. At this time also, the letter of acceptance from a prestigious university in New Delhi arrived almost simultaneously with the NUS’ offer letter. This temporarily gave me a dilemma. Which one? Both are excellent universities and also offered generous financial support. In the end, I chose NUS, Faculty of Arts and Social Sciences (FASS) in particular. The following points helped in convincing myself as well as my superiors of my coming to Singapore instead of India. Foremost, NUS at that time was ranked as one of the top 30 best universities in the world and top ten in Asia. The university also fared better in the social science cluster which continuously maintained until today. At the onset, I was already convinced that the FASS or NUS’ international standing as well as branding will value-add the degree that I will be bringing back to the Philippines after four years. Secondly, NUS also provides considerable logistical supports ranging from wide collection of library materials, printed and online sources, availability of various expertise in different fields and from reputable international talents as well as provision of financial assistance to conduct research and represent FASS in international conferences outside Singapore among others. Thirdly, I am also attracted to work directly with a supervisor. Being familiar with the Philippine educational system, I believed that having this set-up will lessen some distractions in finishing my degree the soonest. This system, however, was modified in the process. Nonetheless, I am fortunate to have a supervisor who worked with me in my most challenging and inspiring days in the university. Fourthly, the South Asian Studies Programme (SASP), I assumed, is the only graduate degree granting institution on South Asia in Southeast Asia. I felt that this is the perfect place to pursue my research on the recent relations between India and the Philippines with closer proximity to major institutions that are also working on regional interactions between India and Southeast Asia. Lastly, Singapore is geographically strategic to me. It is just few hours away from the Philippines and is comfortably nearer to India. It is also a multi-racial nation with a big number of residents having South Asian origins. Interacting with them will give me the opportunity to feel the pulse of the region. Given all these reasons in mind, I pursued my post graduate studies in FASS. 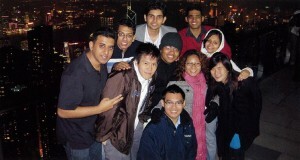 The experiences and opportunities I gained through the years while in NUS assured me that I made the right decision. The initial and continuous interactions with colleagues and mentors in SASP already sufficed my understanding as well as appreciation of the currents and undercurrents of South Asian region. With the abovementioned facilities provided by NUS, I can now challenge the notion that to be an Indian expert, one must stay in India. With confidence, I can say now that I do not need to stay in India for long to understand that country well. The revolution since the last decade of the 20th Century in the field of technology, information and transportation already addressed such gaps. Information can be gathered online and interviews can be conducted through phone and internet facilities. In case these activities are not enough, NUS has provided enough funds for a short research visit in India. Currently, I am working on my dissertation that attempts to ascertain the current state of India’s Look East Policy, a regionalist initiative of India to actively interact with the countries in Southeast and East Asia since its inception after the Cold War. The bilateral relations between India and the Philippines in particular are being examined in this undertaking as a case study. Through this research, I hope to contribute in the scarce literature on the Philippine ties with South Asian countries as well as in the formulation of appropriate policies to enhance the dynamic interactions of key players of regionalism and regionalisation. Moreover, living to its aim of being a global university, it is also worthy to mention that FASS and NUS in general provided good avenues to work with intellectuals of different backgrounds and expertise, interact to students from different countries and learn from mentors of high caliber. The opportunity to serve as tutor in various Singapore-South Asian modules also balanced my academic well-being in the university. I was able to interact with young minds and share the joys of learning. In the process, I earned a sense of satisfaction as well as recognition as one of the recipients of the inaugural FASS’ Graduate Student Teaching Award for 2010. Other than the award, the most important thing I gained in this activity is the knowledge not only about South Asia but also Singapore in the process. Finally, I fervently hope that the degree that I will be earning in the FASS will usher brighter future for me and my family. To start with, the diploma from NUS as mentioned earlier will improve my career path as a faculty and researcher. It will also boost my confidence to participate in various national and international as well as academic and bureaucratic undertakings. Most importantly, the knowledge I learned and the experience I earned through the years in NUS will better equip me to share these to my future students in understanding better South Asia and in effect promote better interaction between Filipinos and South Asians. 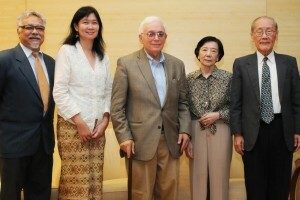 Hopefully, this will inspire at least some of them to pursue their post graduate studies about the region. In due time, I trust that they will also follow my choice. 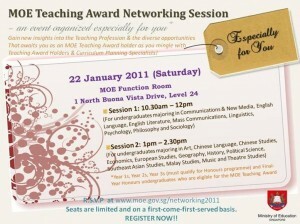 Come and find out more about the MOE Teaching Award! Make this an opportunity to clarify your doubts regarding the teaching profession and to network with the teachers and curriculum specialists who will be present at the session. This is open to all FASS students with the exception of students majoring in Japanese Studies and Social Work. 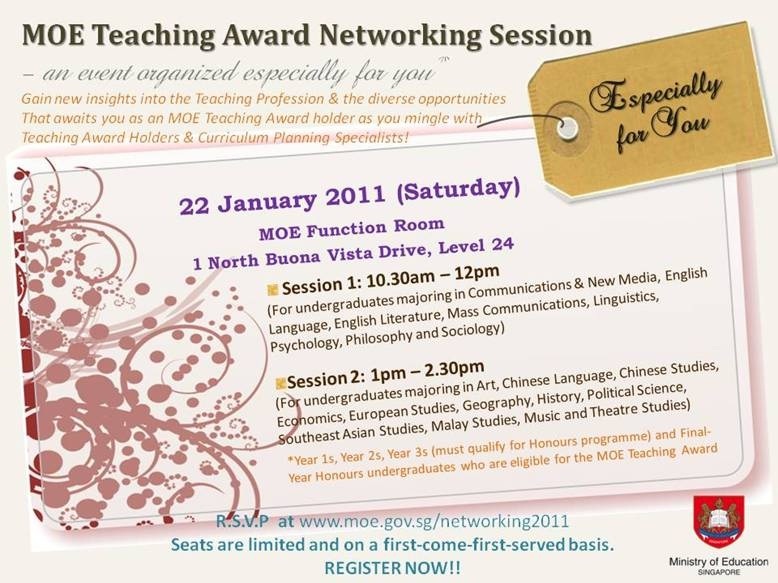 Please click on MOE TA Networking Session 2011 to view the poster.